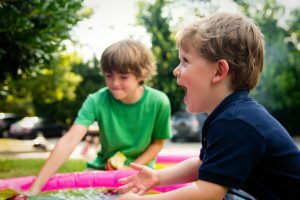 Anyone who has more than 1 child recognizes that each child is unique, complete with his/her own mind, abilities and temperament. Some children are naturally easy-going, others will argue over a speck of dirt. My husband and I have often jokingly stated, “We like to provide birth control everywhere we go!” Why? Well, we’ve actually been seated with our four kids near couples in restaurants who have immediately requested to be seated elsewhere. I think moments like this are funny and I’m generally able to laugh them off. I mean, I get it… a couple out with no children typically would prefer to have a meal in peace! *Disclaimer: Some links in this post are affiliate links, meaning I may make a small commission for any purchases made at no extra cost to you. Thank you for your support! But what about those parenting moments that aren’t laughed off easily? I believe every parent has been there at some point when their child is having a major meltdown in public. It’s a terrible feeling! How many times have we been offered assistance in those moments or been told by the observers that they understand and have been there? I know I have never experienced that, so have to assume this support is rarely offered, if ever! Generally, looks of disapproval are given, along with the mumblings that indicate their child never would do that. Parents in the middle of their child’s meltdown even sometimes get offered parenting advice in the moment to be more strict, limit things their children are allowed to do, only feed their children foods that won’t make them behave like that, or any other advice that extends the blame on the parent and how to fix it. Sound familiar? 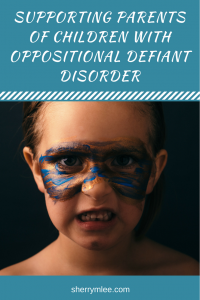 I know many parents of children diagnosed with Oppositional Defiant Disorder (ODD). What is ODD? Well, it is basically when an individual has the emotional and behavioral symptoms of being angry, irritable, argumentative, defiant, and vindictive for at least 6 months. ODD is often diagnosed in combination with another medical diagnosis, such as ADHD, Autism, Anxiety, or Depression. ODD is diagnosed in both boys and girls. Keeping the criteria in mind, it generally is a much longer process than just 6 months to be diagnosed, meaning the individual typically displays the emotional and behavioral symptoms for much longer before a diagnosis is even made. ODD can be mild, moderate or severe, depending on where all of the symptoms show up (home, school, elsewhere). Usually, by the time a child is diagnosed, the parents are exhausted and have tried many different parenting and discipline approaches. I know of some parents who’ve tried to reach out for support from within their communities to find there is very little support for parents available. This can lead to parents of children with ODD feeling alone and unsupported. I saw an Instagram post recently from an Ontario mom of a child with ODD where she posted a screenshot of “No matches for Oppositional Defiant Support Groups in Ontario.” What?!? No matches!!! 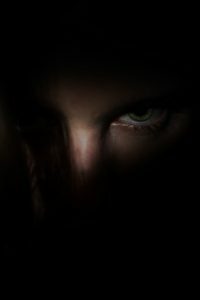 She was looking to join a support group for parents and found what she was looking for does not currently exist anywhere near her. You see, it is true that the individuals with ODD need support. It is also true that the parent(s) are generally the people that drive these individuals to wherever they need to go for their child to gain access to this support. They do this because they care and want what is best for their child. However, doesn’t it make sense that the parents also need support? Those moments in which our kids are being outwardly and blatantly oppositional are far from relaxing! The parent often feels helpless in these moments. Many parents would simply prefer to run and lock themselves in a room to cry! Thankfully, most parents only experience this on occasion or for a brief stage in their child’s development. However, parents of children with ODD experience this in great frequency. Yes, it is true that there are some crappy parents out there, making it easy to “see” where this behavior may be coming from. However, most parents are good and doing their best. Most parents simply want what is best for their child. It is also important to point out that many parents of a child with ODD only have one child out of however many they have in total acting out in this manner. These parents don’t need our judgment or harsh advice. They don’t need us walking by and shaking our heads at the lack of control that parent already knows they have. They need our support. Nothing more, nothing less. A couple of great books to read on this subject include The Explosive Child: A New Approach for Understanding and Parenting Easily Frustrated, Chronically Inflexible Children and Raising Human Beings: Creating a Collaborative Partnership with Your Child, both by Dr. Ross Greene. Many with younger children find Raising Your Spirited Child: A Guide for Parents Whose Child is More Intense, Sensitive, Perceptive, Persistent, and Energetic by Mary Sheedy Kurcinka to be helpful. What other resources and supports are out there for parents? While there is definitely not enough at this point, one great website to check out for anyone needing resources is https://livesinthebalance.org/. Those living in Ontario, Canada may wish to contact Parents for Children’s Mental Health. Has ODD had an impact in your life in any way? Let me know in the comments below. My son has only just turned one, and is starting to exert his independence in our day to day lives. It is definitely challenging, and difficult as a parent to know what the most supportive reaction is to help them cope long term. I can’t imagine what it must be like to experience ODD in your child, who you wouldn’t ever want to watch face struggles. I think this world needs a little more compassion, for parents especially! Support is so needed. It’s amazing to me how many people believe that they’ve solved the parenting riddle for every child – even while admitting that their own children are different too! I have a child who is chronically angry, depressed, highly anxious and very depressed daily. Every day there is some crisis happening. It has been incredibly challenging. It is also very isolating at times. I have shut down for extended periods of time when it all became too much. Support has been challenging. Therapists have left me feeling exhausted and without strategies. I found alot of the therapists were not experienced in this area and didn’t know how to effectivley help. After many road blocks, including the crisis line that once put me in a loop of ‘we can’t help you but you can call this number’ only to have that number give me another number which then put me back to the original number – all while under extreme stress. I finally received help from an energy healer named Linda Mendt out of Lethbridge who was the only person who made a huge difference and was able to do this long distance. She gave me hope and I really felt her compassion, empathy and healing. My child works with a great Psychiatrist now in Ontario and a Spiritual Healer out of Winnipeg named Christine Machiraju. I didn’t want to go down the road of drugs and only recently gave into it. The drugs are helping my child’s quality of life. She is more engaged in the world. She still has very dark moments and the chronic anger is still present but life is more manageable for her. This was her choice and she wants to continue taking the drugs ‘celexa and vyvanse’ under the supervision of her psychiatrist. Thank you for all your hard work and Y Literacy – this is very important work you are doing. Very grateful for you. Thank you for sharing your story so openly, Heather! I am glad you are finding things that work for you and that you are finally getting some of the much-needed support that you and your daughter are worthy of. Thank you so much for this article! It helped me see myself as a parent who just needs some support and not as a bad mom who can’t handle her daughter with ODD without feeling tired all-the-time. My daughter is 5 and she has been showing symptoms of ODD ever since she was a little baby. I am form Bosnia and Herzegovina and therapist here know so little of ODD and I can’t find help I need. BUT my friend has a child with autism and they do neurofeedback. It sure helps him. So I wonder if anyone has tried it for ODD? I’m so happy to hear that this article is helpful to you! It is so difficult when parents don’t feel supported. I am not aware of anyone who has tried neurofeedback for ODD, but that doesn’t mean that it isn’t worth trying and seeing if it might work for your daughter. I hope you are able to find the help you need.